Bed bugs are blood-sucking insects in the family Cimicidae. Both nymphs and adults feed on sleeping or sedentary humans, mostly at night, a time when this pest’s stealthy habits are difficult to observe. The bed bug is making a worldwide resurgence and can be found in the cleanest of all situations, hotels, motels in fact in any accommodation where humans frequent, these blood- sucking insects that readily bite humans, cause’s swellings that become red and irritated when scratched. Some people, however, exhibit no visible symptoms after being bitten. 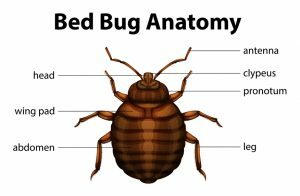 Any signs from their presence should start with your bedding, mattress and pillow covers, bed bug excrement appears as dark spots,( just like from a black felt tip pen) so quite easy to sight on white bedding. They hide in the cracks and crevices during the day, depending on the severity of the infestation, they commonly hide in the seams along the mattress or in the base between the timbers slats, cracks and joins of the bed frame, head boards base boards, curtains, between wallpaper, power points in fact anywhere it does not get to hot during the day. 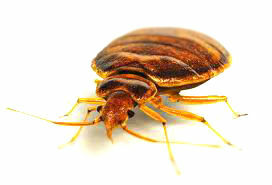 Bed bugs odour is sweetly and sickly that can be detected especially if there is a bad infestation of the bugs. Bed bugs usually are close to their host, after a blood sucking gorge the body swells up to six times it weight during one feed. Bed bugs can survive up to 12 months without a blood meal, depending on their environment. The cracks and crevices during the day, depending on the severity of the infestation, they commonly hide in the seams along the mattress or in the base between the timbers slats, cracks and joins of the bed frame, head boards base boards, curtains, between wallpaper, power points in fact anywhere it does not get to hot during the day. Both nymphs and adults feed on sleeping or sedentary humans, mostly during the night when conditions are more favourable, which makes the bed bug habits more difficult to sight. This blood sucking insect are oval in shape, wingless and rusty red to Mahogany, they have flattened bodies. The immature nymphs are identical to the adult beetle. Bed bug from nymphal stages to adult require a blood meal at each stage for them to become an adult, there are 5 stages for them to become adults.